Elderberry Express is a senior (55 and older) citizens transportation service for Pittsford residents and residents at 81 Linden Knoll in Brighton. All our volunteer drivers handle any valid senior activity. Service is free, but donations are accepted. The service operates Monday through Friday from 9 AM to 3 PM. If interested in volunteering, please the Elderberry Express at 248-6237. Gifts In Faith Through Solidarity (GIFTS) is the new name for Gifts to the Poor, but the purpose will not change. Gifts In Faith Through Solidarity will continue to award grants to organizations, projects and individuals on a monthly basis. Committee meetings will be held the second Monday of each month. All applications received by the Sunday preceding the monthly meeting will begin to be evaluated at the meeting. GIFTS is a method for the people of Transfiguration to direct a portion of the church's donations to an organization or individual in need. It begins with a need that has touched you personally - a call to help another. GIFTS will award grants to organizations, projects and individuals on a monthly basis. 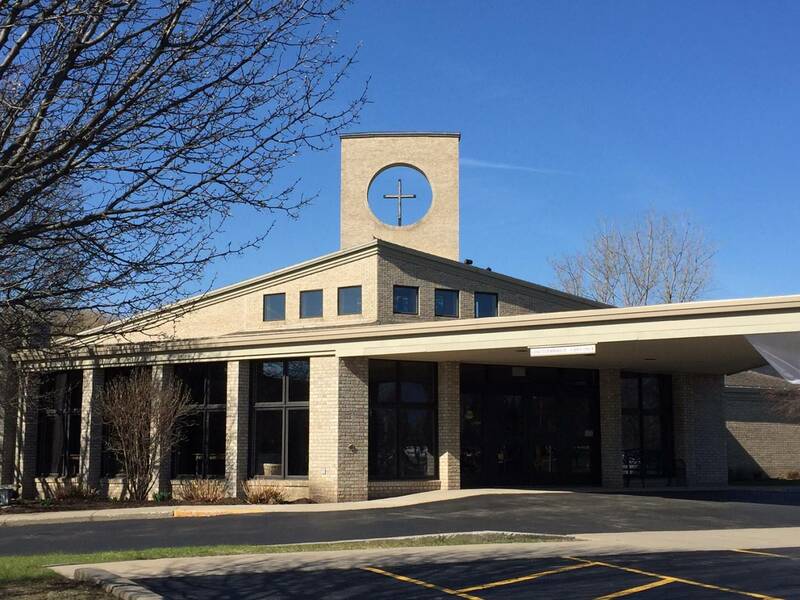 A team of six parishioners reviews the applications on the second Monday of each month and determines whether to fund the Grant and the amount to be awarded. This team seeks to ensure consistency in recognizing both the need and level of funding awarded. The committee meets on the second Monday of each month. Grant Requests received by the previous Sunday are considered and reviewed. Link to grant request form is HERE. If you have any questions, please contact Father Mike. Next we raised funds for a water project that will include new piping, water intact tanks, wells and pumps that will serve over 1,100 people in El Mogote and La Manzana. The project details and costs can be viewed in these documents: La Mazana Phase 1, La Mazana Phase 2, El Mogote. However, due to instability in Nicaragua, Food for the Poor had to withdraw, we were not able to complete this project as planned. Update in December, 2018 - After much time and prayerful discernment, we are pleased to announce that we are working through Food for the Poor with a new village in Macuelizo, Honduras. Please visit our display in the Gathering Area to see detailed information on this poor community situated in the northwest corner of Honduras near the city of San Pedro Sula. We have agreed to help fund raise for safe, structurally-sound housing for the families of their community. Each house comes equipped with a two bedrooms, a living room and a personal sanitation unit. A healthy kitchen to house each eco-stove and water purification unit will be constructed outside each house on a concrete floor with a zinc roof. Ten fruit trees will planted around each house. Each home costs $8100. There has been a matching gift offered by some generous parishioners for the housing project: They have offered to match dollar for dollar up to the value of two houses, a value of $16,200. It is our hope that donations can meet this match by February 18, 2019 when 18 people comprised of five teens and 13 adults will be traveling to Macuelizo. In addition, we have agreed to construct and furnish a Bakery for the Sabaoth Baking Group in Macuelizo. They are a group of 12 women and two men who currently operate out of an inadequate and unhealthy “kitchen space”. This formal bakery will increase employment for residents and reduce respiratory and vision ailments as well as providing wholesome food. A group of parishioners and teens was able to visit Macuelizo in February, 2019. Below is the reflection of one of the teens who participated in that missionary visit. Good afternoon, my name is Nico Valentine, and I recently went on a mission trip to Honduras with Food for the poor and transfiguration. Today I would like to share some of my key takeaways from this experience. Prior to this trip, I was an average parishioner. I simply attended mass and never really went out of my way to help others. My connection with god was strong, but certainly nothing extraordinary at this point in time. Going on a trip to a third world country hadn’t even crossed my mind. When my dad asked me if I was interested, I realized that I can do more, and be more, to be a part of this transfiguration community. I decided to go. And around a month ago, my faith journey completely changed. This was actually my first time going on a mission trip, and I was unsure what to expect. But as soon as our bus stopped in the small village of Choloma, it dawned on me that this is really quite simple. These people are just like us. These mothers care for their children as we care for ours. These children smile as our children do, and these families love each other as we love one another. The simplest things, like a smile, or a hug, or the passing of a soccer ball makes these kids happier than you could believe. No language barrier, difference in socioeconomic status, or difference in education can stop the spread of love. These people are hungry, thirsty, and poor, but most importantly, they remain hopeful. Hopeful that they will do what they can to create a better life for their children. Hopeful that God will be there for them when they need him. And hopeful that they will experience a change in their communities someday. Spending time with these people makes you realize that we are all God’s children, just, living in different circumstances. This is something that I will never forget, and I hope to see these children and families again in the coming years. It is our mission as parishioners to do what we can to help others, and in the process, you will be fulfilled and feel gods true love. I would like to thank our global solidarity committee for putting this experience together, and allowing me to feel god’s love through loving the children and families in honduras. I would also like to thank you all for your contribution to the communities we visited, wether it be in the form of financial aid, donations, or your time spent physically with the people of Choloma and Macuelizo. I hope that we continue to help others in God’s name in doing what we can. Helping one community won’t change the world, but for one community, the world will change. Thank you. Contact Lauren Burruto at lburruto@gmail.com if you are interesting in sharing your time, talent and treasure with our ministry for this important initiative for Winter 2019. Twice per month a team of volunteers brings Communion to individuals at the Highlands of Pittsford. If you are interested in joining the team, please contact Margie Benza in the parish office. This is a ministry in collaboration with St. Mary's Church downtown to provide food, toiletries and basic health screening to chronically homeless men and women in and around downtown Rochester. Please contact Deacon Eric Bessette 264-1796 or via the Contact Us page of this website. This is an annual week long retreat in Boonville, Kentucky where we work with the poorest of the poor, praying with each other, getting to know and supporting each other. It is a powerful part of Men's Fellowship. The retreat is usually held in September. Please contact Deacon Pat DiLaura via the Contact Us page in this website if you are interested in learning more. A powerful week-long retreat in Boonville, Kentucky, where we serve the poorest of the poor while being spiritually renewed through prayer, communion and support of one another. This retreat is usually held at the end of April each year. Please contact Meg Kastner at the parish office if you are interested in learning more or participating in a future retreat. A sponsored ministry of the Sisters of Mercy, the center provides access to primary health care, dental care and advocacy services to the uninsured and the under-served as well as anyone in the community denied access to basic medical and dental care because of their lack of financial resources. Physicians, nurse practitioners, physician assistants, dental assistants, dental hygienists, board members and office support staff are needed for this important ministry. Contact Don Campanelli at 248-3319 or visit the website www.mercyoutreachcenter.org. The RAIHN ministry provides a transition for families (parents with children) that have temporarily lost their housing. These are truly homeless, but not the stereotypical image that comes to mind. They have lost their homes due to fire, loss of livelihood, illness, new to the Rochester area … many of the crises that you or I might encounter. The families are referred to the program and are pre-screened for addictions, abuse, and mental illness. They just need a break to get their lives back on track. Volunteers can prepare a meal, share that meal or provide overnight support. This is a great opportunity for Transfiguration families to help the less fortunate. The facility is nearby in East Rochester. For more information, please click HERE. Contact John Balzano at balzano624@gmail.com if you are interested. St. Andrew's Food Pantry is looking for some birds, hams and a few good volunteers. Volunteers can work during the Pantry hours of operation, 9:30-11:30 AM, Tuesday- Friday. More volunteers are needed during the Christmas season. Call Margaret Oberst at 338-1764 if you would like to learn more. Donations are always accepted, especially frozen turkeys, canned hams, other canned foods, and cash donations. St. Andrew's Food Pantry is located at 890 Portland Avenue, Rochester NY. With the poverty rate in the City of Rochester one of the worst in the nation, the affect can be seen most profoundly in children. Volunteers from Transfiguration visit once or twice a week during school hours, and partner with teachers to tutor elementary students in Math and Reading. The individual attention and extra assistance makes a world of difference for our young friends. If you are interested in volunteering, please contact Helen Konz at cot.school39partnership@gmail.com.